If you are hosting Super Bowl party, you’ll need some sweet treats for the big game! These 20 Healthy Super Bowl Desserts are super delicious, easy to make and most importantly GUILT-FREE. Perfect for your next game day party. Watching Super Bowl, or any other game always involves some food. Actually, a lots of it! Game day party buffet is usually packed with chicken wings, cheesy dips, and cheese balls. All these yumminess keep us in a good mood while cheering for our favorite team. But game day party foods shouldn’t be just savory snacks, chips, and salsa. You need something sweet to balance things up. Right?! I’m a HUGE lover of sweet treats while watching the game. And I bet there are many of you out there who share my love for candied bites. So today I’m sharing a collection of super delicious, easy to make and most importantly GUILT-FREE Super Bowl Desserts for your next Super Bowl game day party. All these recipes are made with HEALTHY, all natural ingredients, without refined sugars. In one word YUMMY! + Party friendly! Nutty and sweet, these Peanut Butter Energy Balls are super simple snack that is both satisfying and good for your health. These little bites are loaded with wonderful peanut flavor, and made without added sugars. Chewy Peanut Butter Oatmeal Cookies are perfect HEALTHY treat to enjoy. These cookies are loaded with peanuts and dark chocolate chunks. 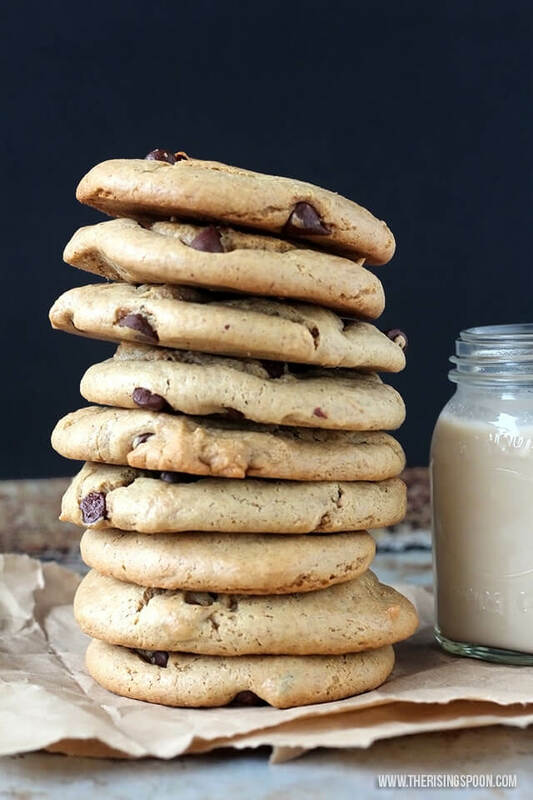 Easy to make, refined sugar-free and ALL NATURAL, these cookies make a perfect game day sweet bite. Chewy and loaded with dark chocolate chunks these Chocolate Oatmeal Cookies are the perfect HEALTHY delight for your party guests to enjoy. 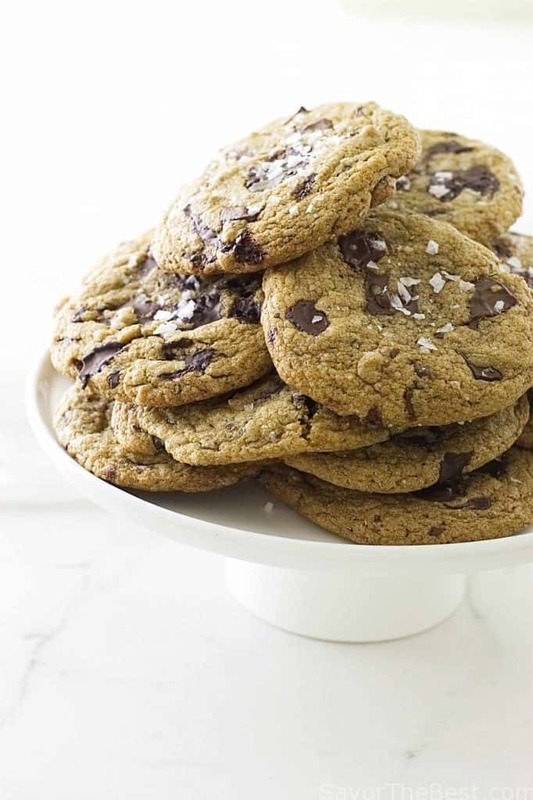 These tasteful cookies are made with just few simple ingredients and in no time. Rich, chocolaty and delicious, these Raw Chocolate Peanut Butter Crunch Bars are one amazing snack. 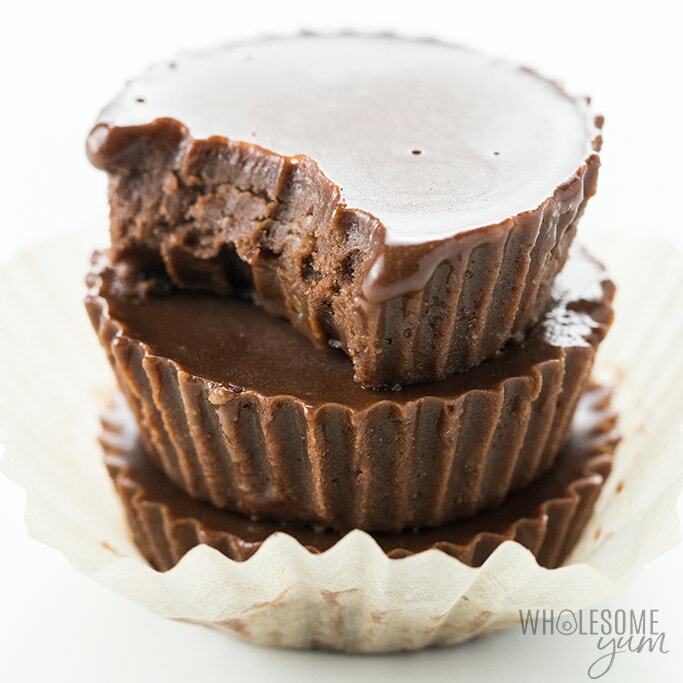 Every bite is loaded with rich chocolate flavor as well with superfoods. Decadent, soft and fragrant, Chocolate Cinnamon Balls are perfect guilt-free treat. These little delights are loaded with bittersweet dark chocolate flavor, so delicious and yet so HEALTHY. Soft and flavorful, these Apple Pie Energy Bites are perfect HEALTHY snack packed with sweetness. These tasty littel balls are ADDED-SUGAR-FREE and loaded with fragrant spices. Full of dark chocolate flavor, made with all healthy ingredients and REFINED SUGAR-FREE these Fudgy Pomegranate Brownies are the ultimate treat. Dense and rich this melt in your mouth dessert will surely delight your party guest. These Roasted Pecans are an easy snack that comes together in less than fifteen minutes. And with Only 4 ingredients needed including the pecans. A sweet and salty treat special enough for the holidays or parties. 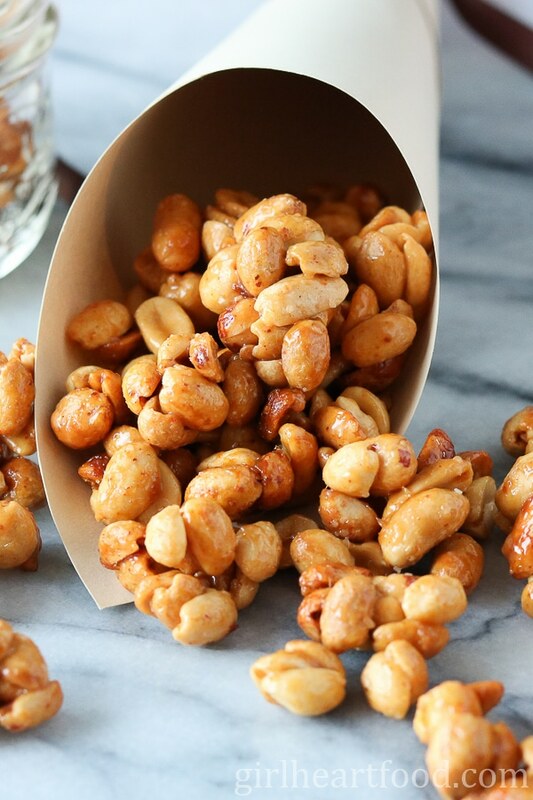 Five ingredients and only 15 minutes and you’re on your way to one of the most addictive snacks you’ll ever have. Honey is combined with a touch of cayenne pepper, to make salty, sweet Honey Roasted Peanut Clusters that you’ll find hard to resist. Easy flourless peanut butter cookies studded with dark chocolate chips and sweetened with maple syrup. Delicious and so addictive! Just six ingredients, no baking required and ready in less than 20 minutes. The perfect healthier party treat! You only need five ingredients and 10 minutes prep to make the most delicious chocolate treat ever. 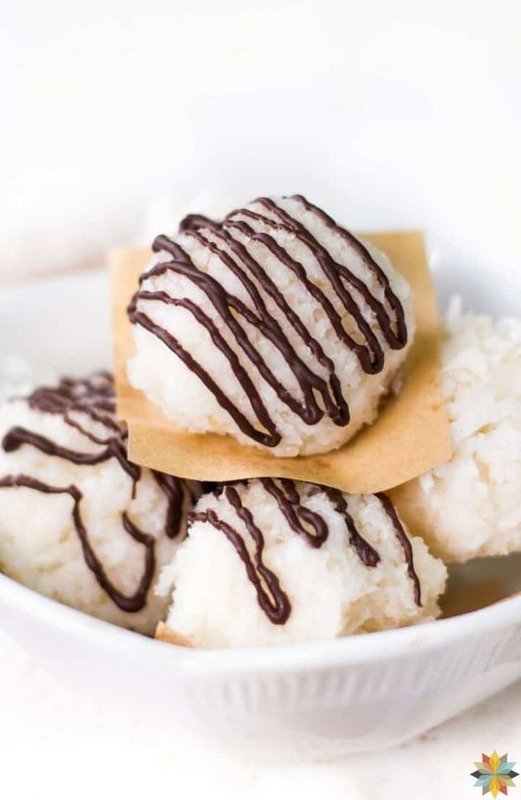 These easy fat bombs taste incredible and are perfect for your game day party. Delicious, buttery and loaded with chocolate flavor, this Brownie Batter Hummus is perfect sweet dip. Chocolate cream-filled Hostess Cupcakes are not only delicious but super cute. These would look really impressive on your party buffet table. These are MUST make if you ask me! 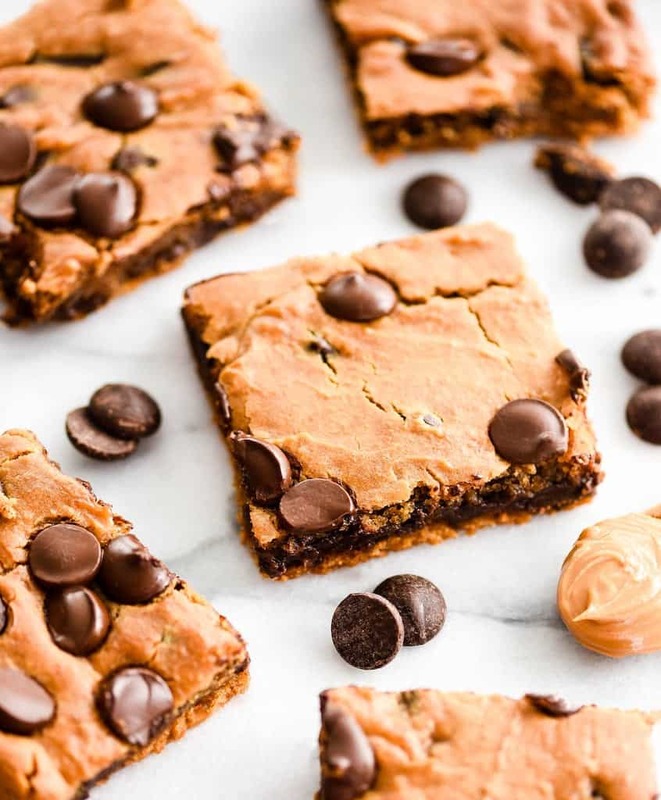 These Healthy Peanut Butter Blondies are made with chickpeas but you’d never know it! It’s the perfect healthy dessert recipe that you can feel great about indulging in! 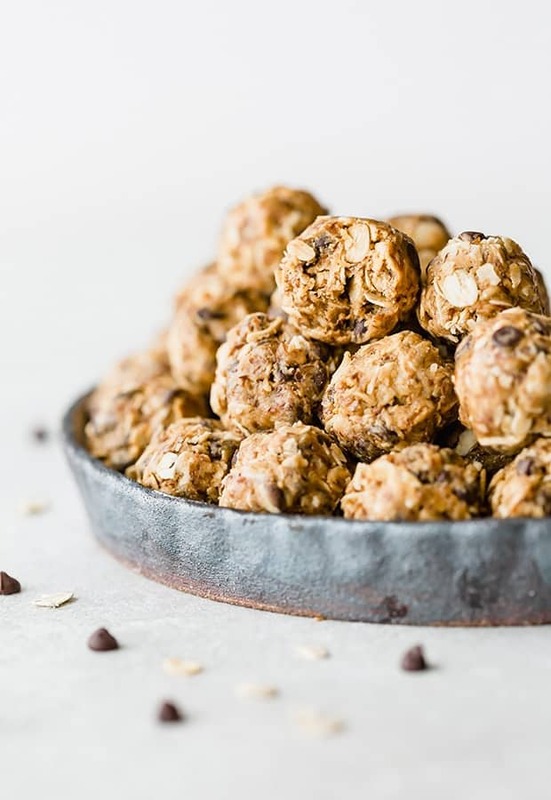 These No-Bake Energy Bites are a low calorie, healthy, and super easy-to-make snack! Just be aware… these nutty and sweet little bite sized pleasers are super addictive too. These cookies with chocolate chunks are an absolute must! Sprouted spelt flour gives these cookies a deep, rustic flavor, while rosemary adds a magical twist. Delicious! 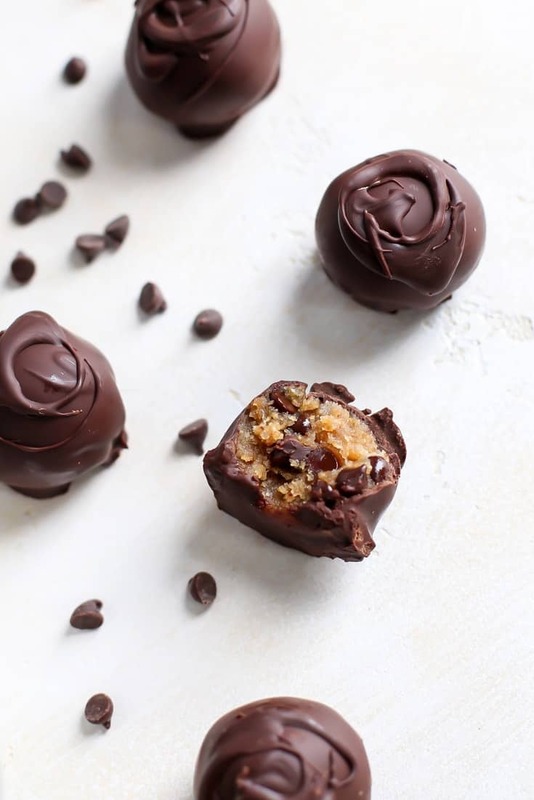 Made with only 6 ingredients these Chocolate Truffles are perfect for a healthy treat! Super sweet and loaded with dark chocolate, everyone will enjoy these, for sure. This is not only fun themed fruit tray but the best snack ever. A football fruit tray makes perfect sense and will make your guest cheerful and healthy. Great collection of healthy sweets to serve at parties! Especially for those still sticking to those New Years resolutions!